EDI will change your business forever - Integration, Inc. The official definition of Electronic Data Interchange (EDI) is that it’s the electronic process by which the transfer of data from one computer system to another computer system occurs. Basically, using EDI allows your business the ability to automate your data sharing, providing a much faster and far more accurate processing. This results in cutting costs, increasing productivity and decreasing inaccurate processing. EDI processes data using a standardized message formatting, which allows businesses to share information quickly, accurately and securely. 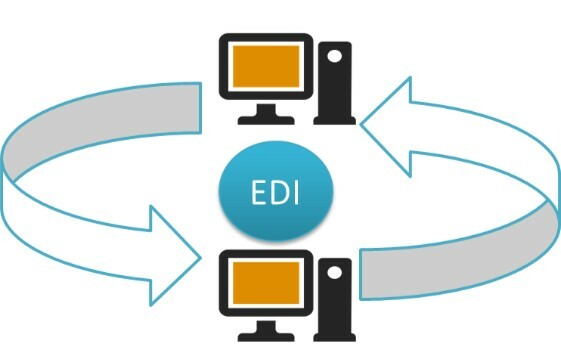 By using EDI for data sharing, there are no location restrictions or barriers to keep data from being shared. This is especially valuable when time is of the essence. EDI Data can be shared through serial links and peer-to-peer networks, in addition to Internet connectivity. EDI offers accurate, consistent and thorough data moving through your business, which is more critical for business survival now than ever before. Are you a business that is still processing non-core business procedures manually? Let’s look at the facts, which include viewing your business from a financial point of view. In reviewing your business performance, you must admit there are impressive benefits related to implementing EDI into your business processing system. Additionally, EDI offers businesses a cost-savings almost instantly by streamlining the internal processing system. Using EDI allows businesses to automate their data sharing, providing much faster, more accurate processing, thus cutting costs, increasing productivity and decreasing inaccurate processing. Today, EDI transactions are estimated at 20 billion annually, and that’s on a global scale. What does this mean? Well, it means that EDI works for businesses who implement it. Implementing EDI into your business has the potential to produce millions of dollars in savings for your business every year. To learn more about EDI business process outsourcing, contact Integration, Inc. today. Integration, Inc. is an industry-leading business process automation provider specializing in business process automation services, such as Electronic Data Interchange (EDI), check writing, check printing, check processing, rebate processing, barcode labels and third party billing to thousands of companies across the globe. As a primary business process automation outsourcing provider, Integration’s goal is to empower all its client’s to focus on their core areas of expertise, while leaving the business process automation services to our team of experts. This is accomplished by supplying excellent business process automation services that enhance your company’s ability to provide increased reliability and cost savings to your customers. Integration enables your company’s success by providing complete IT outsourcing solutions for business process automation. As a result, this allows your organization to increase efficiency, by being able to respond rapidly to changing business environments, while meeting your customer’s needs consistently and in a more cost effective manner.